To say 2018 has been Kaia Gerber‘s year would be an understatement. She kickstarted the year by fronting Vogue Paris, channeled Gia Carangi for Love, made the cover of Vogue Italia and returned for a second French Vogue appearance just last month. All of this was in the midst of countless runway shows and becoming the face of mega brands Versace, Moschino, Saint Laurent and Karl Lagerfeld. It’s no wonder the 17-year-old nabbed a Fashion Awards nomination for model of the year. 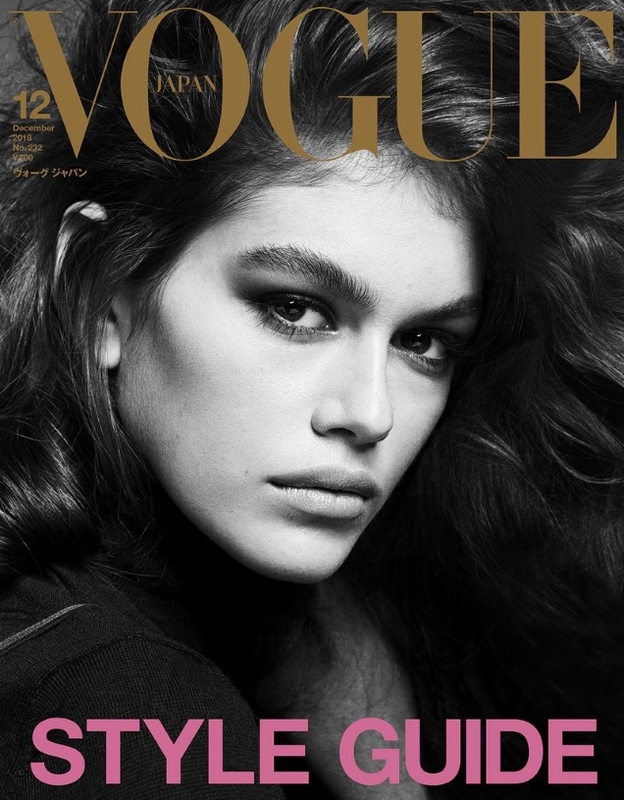 Now, Kaia rounds off her year perfectly with a December cover of Vogue Japan, shot by Luigi & Iango. Looking fresh-faced with a major blow-out, she suits up in Giorgio Armani, styled by Julia von Boehm. Despite everyone’s best efforts, the cover fell flat with the majority of our forum members. “I don’t know. She looks lifeless, boring, depressing but beautiful at the same time. I was waiting for a festive cover and all I can see is a waitress after the New Year’s party,” IndigoHomme said the moment the cover dropped. 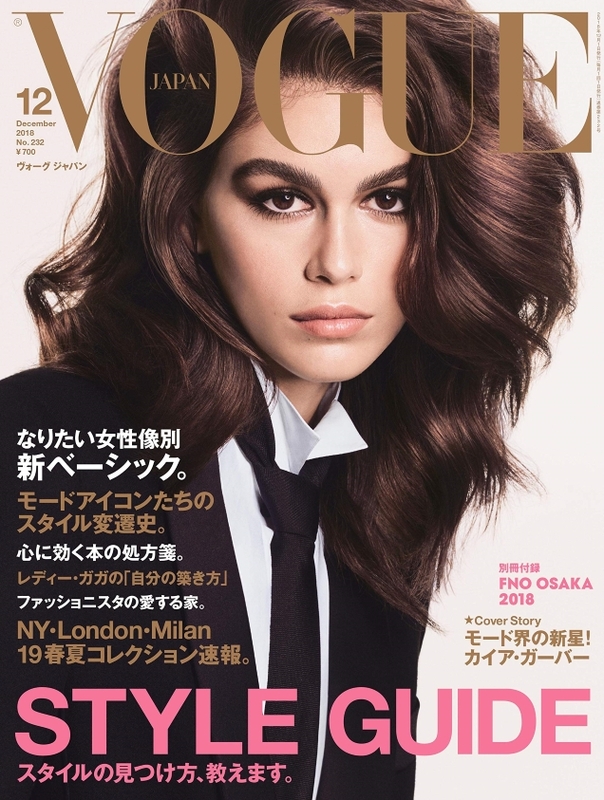 “Not that I expected to be bowled over because I’ve actually been somewhat indifferent towards Kaia Gerber, but this is just unremarkable for a December cover. Vogue Japan’s December covers are normally so festive, with the model all glammed up in a nice gown,” added Benn98. “Yawn. Nothing interesting here,” Valentine27 chimed in. The preview of Kaia’s cover feature (below) looks more promising. “This is actually stunning,” confessed MON. “Now that’s her best angle,” noted tigerrouge. “I actually love this! Not a blonde, not a Bardot reference, something more classic and modern. It’s boring but good boring! She is wearing an Armani suit… the definition of good boring!” declared Lola701. See more from Kaia’s cover shoot and voice your own opinion here.